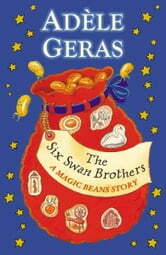 When six brothers are turned into swans by an evil queen, their fate falls into the hands of their younger sister. Can she save them - and herself - before it's too late? This story is a magic bean. It may not look much like a bean, but I can promise you that it is. For if you plant it in a young mind, it will grow into a love of story and reading. These beans are favourite fairytales and legends that will delight, thrill and thoroughly entertain. Each story has been brilliantly crafted by one of the best-loved writers for children. This story was published by David Fickling Books as part of the Magic Beans anthology. The complete anthology is available in hardback and in ebook format. "But I Don't Want to Be a Dragon!"